The apprenticeship blends hands-on learning with traditional classroom studies on topics that include soil management, composting, pest and weed control, crop planning, irrigation, farm equipment, direct marketing techniques, business planning, farm labor issues, food policy, equity, and other social and environmental issues in the food system. 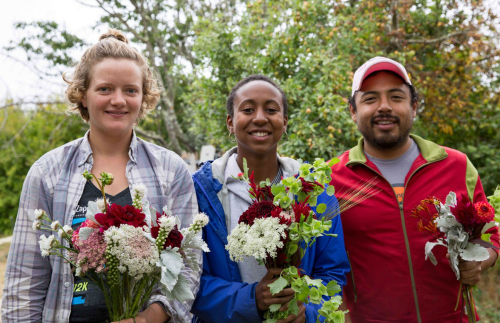 Aspiring organic farmers and gardeners are invited to apply for the 2017 Apprenticeship in Ecological Horticulture at the University of California, Santa Cruz. The class of 2017 will mark the 50th year of the Apprenticeship, the longest running university-based organic farming and gardening training program in the U.S. The upcoming six-month program starts in April 2017. Course fee support at different levels is available, including the Simply Organic annual scholarship and support for military veterans. AmeriCorps funding can also be used to cover course fee costs. The apprenticeship is managed by the Center for Agroecology & Sustainable Food Systems at UC Santa Cruz. It is open to all participants 21 years or older, regardless of educational background. Program information, application materials, details on course support, and a list of dates for upcoming orientation tours are available online at casfs.ucsc.edu/apprenticeship. Application deadline is Sept. 30, 2015 for U.S. applicants. 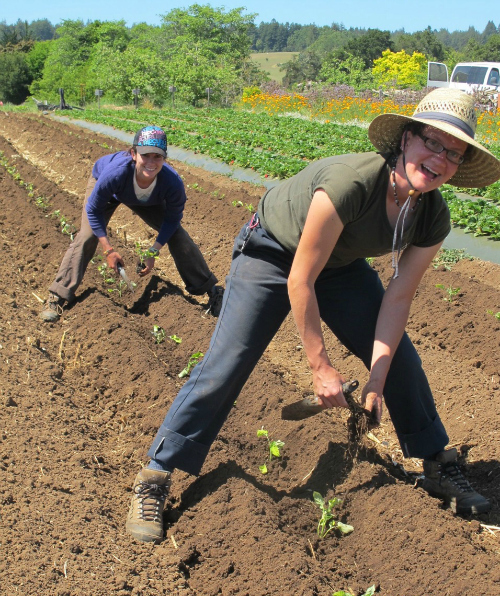 The six-month, full-time residential program is based at the 30-acre organic farm and 3-acre Alan Chadwick Garden on the UC Santa Cruz campus. The program trains adults in the concepts and practices of organic gardening and small-scale sustainable farming. The apprenticeship blends experiential learning with traditional classroom studies on topics that include soil management, composting, pest and weed control, crop planning, irrigation, farm equipment, direct marketing techniques, business planning, farm labor issues, food policy, equity, and other social and environmental issues in the food system. The 39 apprentices accepted into the program each year come from all regions of the U.S. and abroad, and represent a wide spectrum of ages, backgrounds, and interests. Program graduates have established their own commercial farms and market gardens, developed farm- and garden-based educational programs, run urban garden programs, and more. You can read more about apprenticeship alumni’s work at www.growafarmer.org. For examples of the apprenticeship curriculum, see the newly revised and expanded Teaching Organic Farming and Gardening: Resources for Instructors, and Teaching Direct Marketing and Small Farm Viability: Resources for Instructors. New editions of both manuals were produced by the Center for Agroecology & Sustainable Food Systems in 2015, and are available free online at casfs.ucsc.edu/about/publications. For more information about the apprenticeship, please contact the Center for Agroecology & Sustainable Food Systems at 831-459-3240, or at casfs@ucsc.edu. Learn more about CASFS at casfs.ucsc.edu.